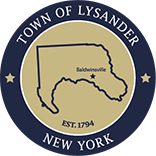 As one of the fastest growing Towns in New York, this office supports the planning, zoning and codes enforcement functions of Lysander, working closely with the Planning Board and Zoning Board of Appeals (ZBA). The Planning Board deals with subdivisions, site plans and controlled site uses. ZBA deals with specific use permits, variances and land uses. The Zoning office handles building permits, zoning applications, code enforcement issues, and fire safety inspection scheduling. 2018 Planning Board Meetings are held on the second Thursday of the month at 7:00 p.m. in town hall. The Zoning Board of Appeals meets on the first Monday of the month, as needed, at 7:30 p.m. in town hall. Please call our office if you have any questions.